This plugin is made for all users to create highly effective lead capturing landing pages in WordPress fast and perfectly! Create unlimited completely customized landing pages using the highly optimized lead generating system. Use direct response tactics to get the most out of your landing pages. Bring each visitor through steps geared on your call-to-actions. Make landing pages that are small and super long. Works for absolutely any NICHE you need! 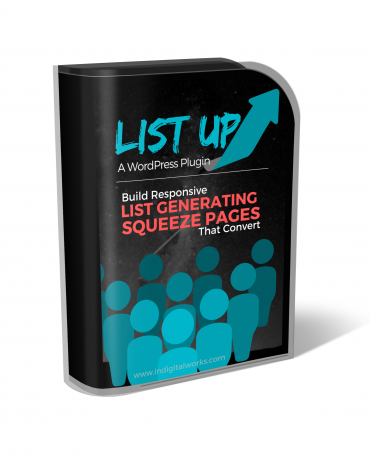 Manage unlimited landing pages that are a breeze to edit and connect to any WP page for SEO friendly URLS to rank your page better. Share your landing page in multiple areas using variety of methods to increase your social shares for your landing pages. Increase the effectiveness of your call to action on any offer you want. Add countdown to increase the scarcity and motivation for your visitors to click on that button. This landing page is using techniques to increase your conversions. Use this ONE landing page for ALL your upcoming lead campaigns because you can customize it to keep it simple or have a fully featured landing page that will sell absolutely any offer, service or package you have going.